If you find yourself eating at fast food restaurants every day, you’re not doing your body any favors. The recommended caloric intake for the average adult is around 2,000 calories, while the average fast food combo often delivers more than that—in a single meal. 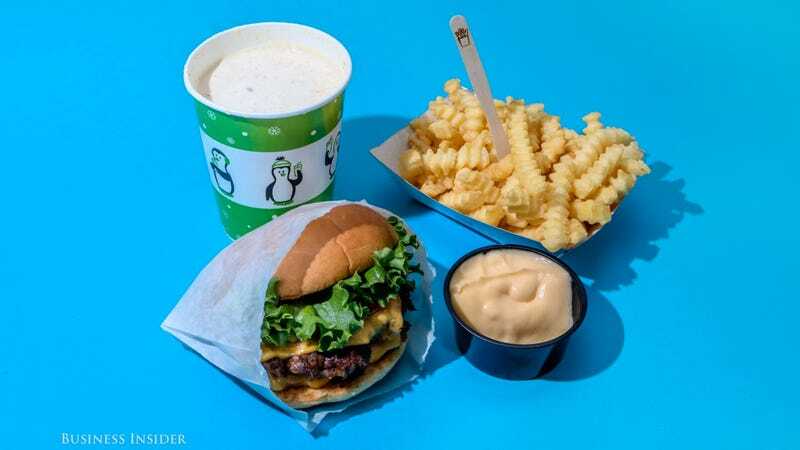 Business Insider visited 13 fast food chains to see how many calories were in a single combo meal, and the results might have you packing your own lunch in the future. Even meals from supposedly healthier fast food chains like Subway or Chipotle easily slip past the 2,000-calorie mark when you add sides, drinks, and a dessert. In most cases you don’t even need to supersize your meal to max out its calorie capacity, but when the cashier asks if you want fries with that, in the future it’s probably a good idea to just say no.